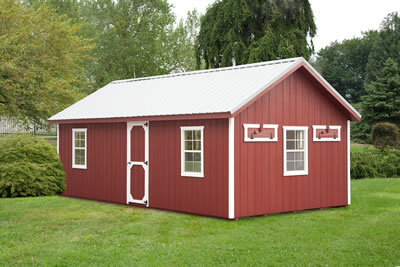 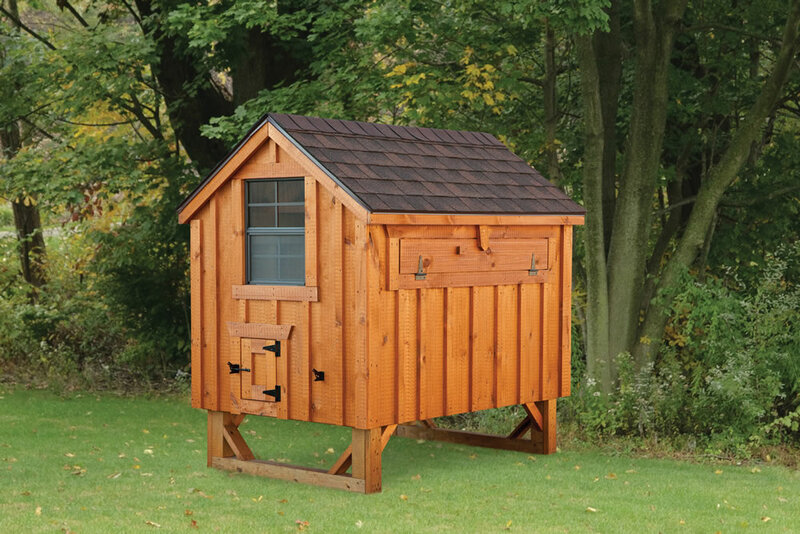 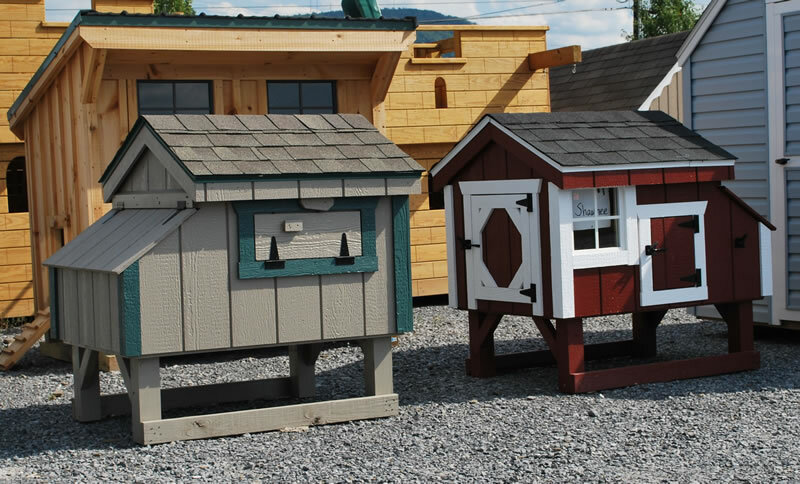 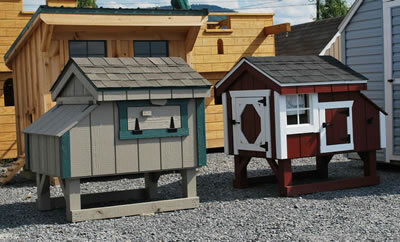 The A-Frame style chicken coop is a classic style favored by many. 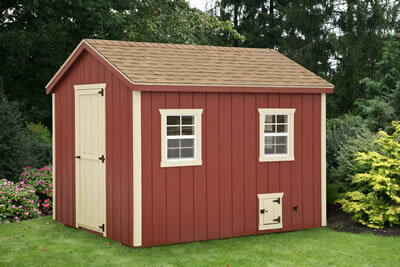 With simples straight lines and beautiful trim, it has its own touch of class. 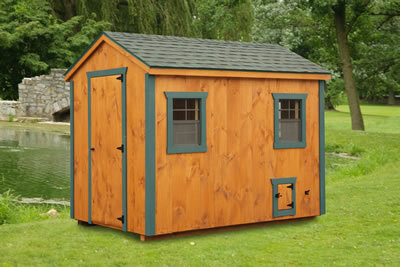 7 Windows, 1 Single Door, 2 chicken Doors, 2 8x12 Chicken Areas, 8x12 Feed Room, 4 Vents, Holds 90-100 Chickens.